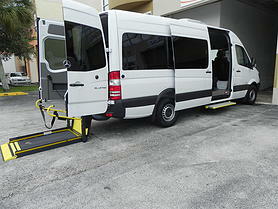 Best Prices in all of South Florida on Commercial Wheelchair Vans! Call us at 786-534-2046 for more details. 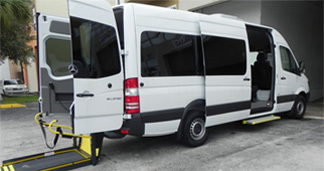 We are the leading mobility company in South Florida customizing Sprinter vehicles and commercial wheelchair vans for the needs of our clients. We work closely with Sprinter dealerships in our community. The proof is in our work! 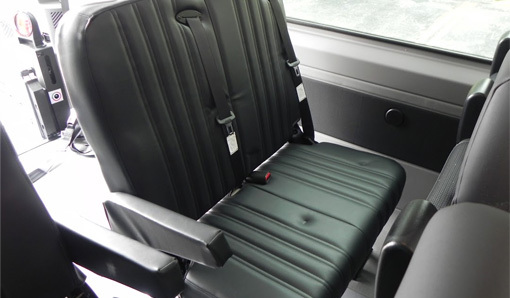 We sell commercial wheelchair vans and medical transport vans for commercial organizations like nursing homes, group homes and medical transportation companies. 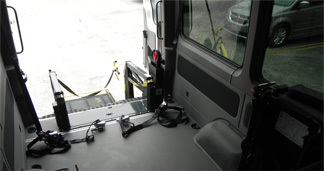 Wheelchair vans and paratransit vans refer to vans that have been modified to include a means of wheelchair access via wheelchair ramps or wheelchair lifts. In addition, these modifications will also have accommodations for special needs entry ways, increased headroom and other purpose oriented accommodations. 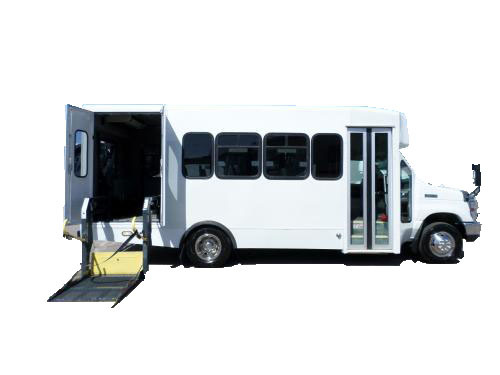 Vans of these types are used by commercial entities, non-profit and governmental organizations to transport the people under their care or the care of their clientele. 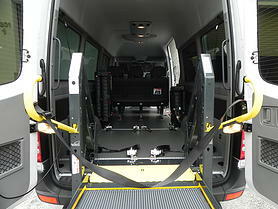 Commercial mobility vans are most often built on a full-size van chassis, typically from Ford, GM and more recently Mercedes Benz (Sprinter). 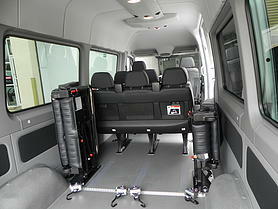 However, commercial minivans are also popular and available on a Dodge Grand Caravan chassis. 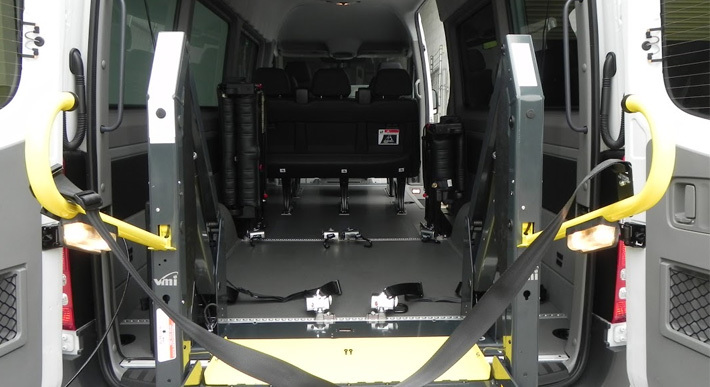 Commercial wheelchair vans are highly customizable to the needs of the buying organization so that they can accommodate the particular type of client and use pattern their business demands. 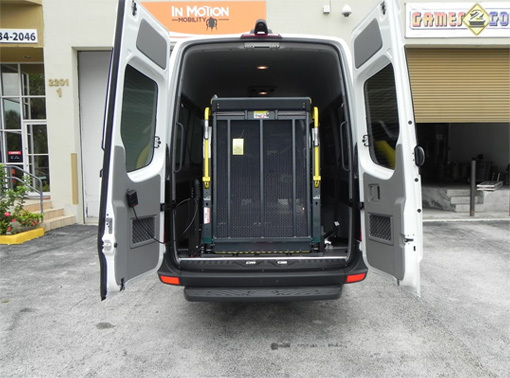 In Motion Mobility has the expertise and resources to keep your equipment running safely and efficiently. We offer discounted service programs for commercial vehicle fleets. Proper maintenance is necessary to ensure safe, and trouble-free operation of all accessible equipment. 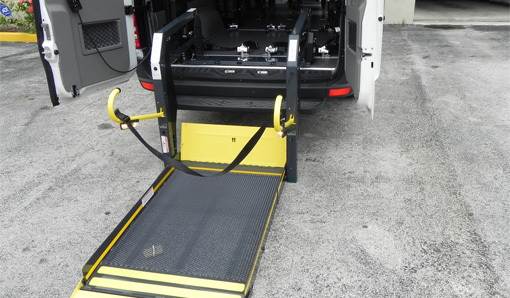 Inspecting lifts on commercial wheelchair vans for any wear damage or other abnormal condition should be done on a regular service schedule. A manufacturer authorized service representative must perform service procedures specified in the maintenance schedule at scheduled intervals of 750 cycles. Keep your fleet in compliance. Keep your manufacturer warranty obligations. Large Supply of Replacement Parts Inventory to Guarantee Fast Repairs!